Renowned writers and scholars on Sunday eulogised the services of Siraj-ul-Haq Memon, the famous novelist, author, linguist, journalist, lawyer and story writer of Sindh, in the field of literature, journalism and law, at a literary reference organized in his memory at the Arts Council of Pakistan, Karachi. Siraj wrote novels like ‘Paraado Soi Sadd’, many stories reflecting atrocities with Sindh and its people besides writing thought-provoking articles and editorials in various newspapers that got major response from literary and social people of the province,” the speakers said. “Siraj was also a bold and daring journalist who highlighted issues of Sindh in real manner and also provided me a chance to write on issues of the province in Hilal Pakistan,” Amar Jaleel said. Amar Jaleel said that Zulfikar Ali Bhutto also liked Siraj for having powerful writing skills and took him along at various occasions. 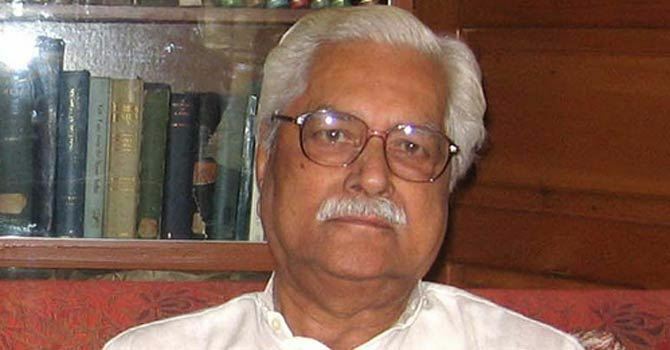 Amar Jaleel called for bringing out two books of Siraj – one on his editorials and other on his stories published during his life time. He said that since inception of Pakistan, Sindh had faced tremendous downfalls in various sectors of life, while Balochistan and even Khyber Pakhtunkhwa had made significant progress during this era. “It is our own people who have inflicted colossal losses on Sindh, he observed. Acting Governor Sindh and Speaker Provincial Assembly Nisar Ahmed Khuhro also hailed the literary services of Siraj Memon. He said that Siraj was a daring writer and he had a great sense of writing on issues. Khuhro asked bereaved family members to continue literary work like their great writer so as to retain the name of his family. Nazir Leghari, a noted journalist, said that Siraj Memon worked with dedication and commitment in literature and journalism throughout his whole life. “He had command on linguistic as he was the only writer in Sindh who had such a capability. “Memon was also rich in the field of journalism who set aspects of news making and elaborated its guts in well manner, besides telling how a story should be written. Siraj was also a great lawyer,” Leghari concluded. Dr Fahmida Hussain, the sister of Siraj Memon, broke in tears during speech over the shock from her brother’s death. 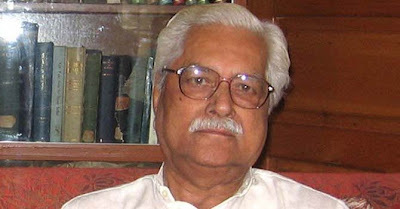 Ghulam Nabi Mughal, a well-known writer, said that Siraj was a great scholar of Sindh. Memon joined Hilal Pakistan newspaper as Editor and gave it a great name. He was a careful, caring and loving person in the literary field. Noted personalities Dr Suleman Shaikh, Mazhar Jameel, Qasim Bughio and Ex-VC Sindh University Mazharul Siddiqui also spoke on the occasion.